Have you ever heard a person say, “God sees all sin the same. 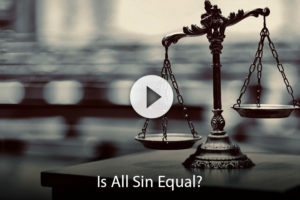 One sin is not worse than another?” We have all heard that before, but did you know that it’s not true? There is a sin that is greater in degree of wickedness therefore it deserves a greater punishment. Think of someone like … Continue reading Is All Sin Equal?